It is unfortunately true that some otherwise skilled professionals don’t “know their stuff” to the extent that they should, and don’t seem much to care. Their emphasis is less on being or becoming an expert and “learning one’s trade,” than on getting ahead. This leads to a focus on office politics and other aspects of the management scene rather than expertise and good performance. Some management books fall into this trap in advising their readers. 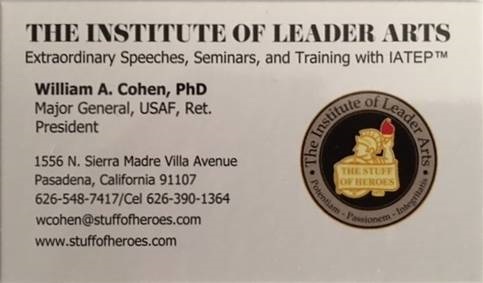 They fail to emphasize that a leader becomes is real leader only when everyone recognizes that the leader knows what to do when he or she gets ahead, not because the leader knows how to get ahead. Regardless of your job. you have an awfully lot to learn about your people. Moreover, there are a lot of people to know. The list includes those that may report to you, those at your level and in other organizations that you work with including in other companies, those higher up in the organization including your boss, and of course, your customers. Whew! That’s quite a job. Moreover, each person is different and has a unique way of doing things. This fact constitutes one of the most fascinating, yet challenging aspects of your knowing your stuff about them. Every single one thinks differently and may be motivated to action by different stimuli. Psychologist Carl Jung found that faced with the exact same situation, each of us have different preferred ways of acting, decision making, or getting a job done. The best way to get the job done depends largely on expertise. So everyone should strive to become expert at what they do. Years ago, someone investigated how long it took to become an expert in any field and announced that it took about five years. Of course, this probably varies somewhat depending on the field, and how you define expert. It took famed movie-maker Steven Spielberg longer, although if you consider that his success came at an early age, this made it appear that it took much less time than it did. 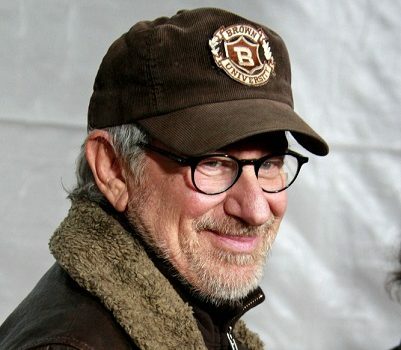 Steven Spielberg is arguably the most successful movie-maker of our time. Steven Spielberg was only in his twenties when he directed the immensely successful movie Jaws. Spielberg didn’t stop with one big hit. This is the man that made science fiction thrillers like Close Encounters of the Third Kind, sensitive movies like ET, adventure thrillers such as Indiana Jones, serious movies including The Color Purple and Schindler’s List, and movies of spectacular technical effects such as Jurassic Park and those on the same subject that followed. How did Spielberg accomplish all this at such an early age? Parents with connections in the movie industry? Not quite. His father was an electrical and computer engineer and his mother a concert pianist at the time. They got divorced when Steven was still in his teens shortly after they moved to California. Maybe Spielberg went to a great graduate film school like the University of Southern California (USC) in nearby Los Angeles? Then, he was hired right into a high paying director’s job. Right? Wrong! As a matter of fact, Spielberg applied to USC twice. And, he got turned down twice. USC probably regrets that decision dearly today. No, Spielberg’s secret was that he took the time to become an expert at what he wanted to do. While only 12, he got his hands on an 8mm movie camera and began to turn out home movies starring relatives and friends. He decided right then on his life’s goal: he wanted to make movies. A year later, he won a prize for writing a fully scripted war movie. At the age of 16, he made a real 2 ½ hour science fiction movie. It cost $500. He persuaded a local theater to run it as a favor. It must not have been a great, movie because they only ran it once. But that didn’t bother Spielberg, because he was gaining expertise along the way. While he was waiting to receive the second of two rejections from the USC film school, he was accepted at what was then Cal State College Long Beach and graduated in 1970 with a BA in English. Because of his determination, he was offered a small unpaid intern job at Universal Studios with the editing department. He later was allowed to make a short 26-minute film for theatrical release. At age 22, he borrowed $15,000 from a friend and made a short film. It won some awards and came to the attention of a vice president of Universal Studios. That vice president immediately recognized Spielberg’s talent and expertise. After watching the film he hired Spielberg as a director on a seven-year contract. Spielberg had become an expert. He knew his stuff, and his many successes followed. If you think that you have learned all you’ll ever need to know for your career you’re making a big mistake, and I don’t care at what point in your career you are, a new hire, or the president. There are always new ways of doing things being developed. Technology changes. The business environment is constantly changing and is usually different as you become involved with new companies, industries, or geographical areas. I remember hearing one new college graduate proclaiming: “I’ll never need to read another book again.” Boy was he wrong! Drucker learned that, “A successful organization that continues to do what made it successful in the past will eventually fail” because some kind of change. It makes what an organization knew or did to achieve success in the past irrelevant or even wrong. And this goes for everything. So you must learn to keep up with change. You must constantly consider innovative approaches and new techniques with every task or project that you are assigned. It’s all part of knowing your stuff. *Adapted from the forthcoming book Peter Drucker’s Way to the Top by William A. Cohen to be published by LID in 2018 and the article is syndicated.